During this time of worldwide excitement around the 2014 World Cup hosted by Brazil, the African Women in Cinema Blog highlights the filmmaking experiences of African women who focus their cameras, from diverse perspectives, on soccer. Monique Mbeka Phoba who co-directed with Guy Kabeya Muya, Between the Cup and the Election (2008), followed the members of the 1974 Leopards, the first team from sub-Saharan Africa to qualify for the World Cup. Ngardy Conteh with Allan Tong are in the development stages of the film Leone Stars about an amputee soccer team in Sierra Leone, comprised of child survivors of the civil war. 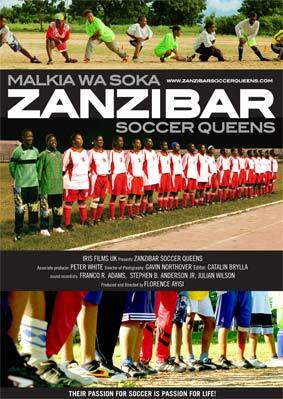 Florence Ayisi’s 2005 documentary Zanzibar Soccer Queens follows this team of talented and determine women, especially as it relates to sport and women’s bodies in a majority Muslim population. 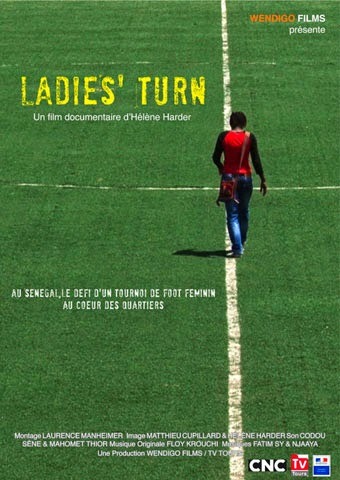 In addition, the Ladies’ Turn association, which works with young Senegalese girls and women to develop leadership and teamwork skills through soccer, was featured in the 2012 film of the same name by Helene Harder. Monique Mbeka Phoba and Guy Kabeya Muya, 2008, 56 min. Inspired by the 2006 elections in Congo, a group of film students sets out to make a film. 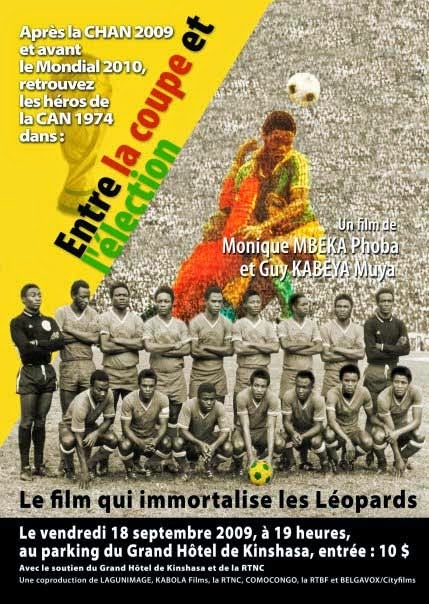 They track down members of the 1974 Leopards, Zaire's national soccer squad, the first team from sub-Saharan Africa to qualify for the World Cup. After a dismal first round performance -- the Leopards were outscored 14-0 in three games -- the players returned home in disgrace and drifted into obscurity. The team's captain, however, has fared better and is running for political office in Kinshasa. Deftly weaving past and present, Between the Cup and the Election offers a personal and endearing study of the intersection between sport and politics. 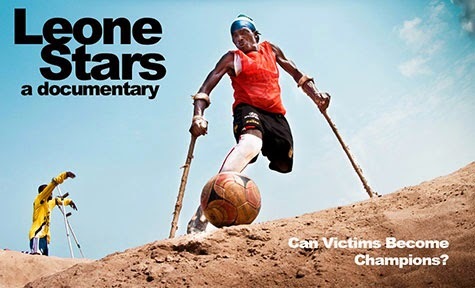 Feature length documentary (in development) about amputee soccer in Sierra Leone and national team's journey to the World Amputee Football Championships in 2012. They were outcasts ever since they were boys when rebel soldiers hacked off their arms and legs in Sierra Leone's civil war. With no families, no jobs and no homes, these young men grew up with nothing until they discovered the healing powers of the Beautiful Game. 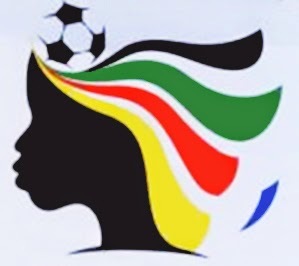 Using the Ladies’ Turn tournament as a starting point and following the people who invest their talent and their convictions in its success, the film seeks to expose both a Senegalese and international public to the determination of the players despite the difficulties and prejudices that they face. In Senegal as in many other countries, soccer is considered a sport for men, not women. With the help of the Ladies’ Turn team, Senegalese girls fight to follow their passion for playing soccer all the way from small, neighborhood fields to the tournament finals in Dakar’s newest stadium. They win a new visibility that may be a reflection of the role that women are increasingly forging in Senegalese society. By following the tournament’s matches and stories, the film plunges the spectator into a human adventure that will bring out the force, the contradictions, and the beauty of a Senegal open to the world and in constant evolution.